Ever since the increase of Smartphones, the mobile applications have flooded the market. One of the prominent and visible growth has been in the healthcare industry, which has gone many a mile ahead of it stood a decade ago. In fact, according to a report, there are about 1,65,000 healthcare apps in the market that is twice the number, then it was two years ago. The report further states that out of the 1,65,000 apps, about two-thirds are basically focusing on general health issues and fitness level; whereas the remaining are dedicated to offering specific health conditions and medications, pregnancy, mental health and others. We have had a few discussions in the past about the medical apps as well as health and fitness related apps. One is also aware that the market of the healthcare industry will continue to excel within the forthcoming years. In fact, it can be said firmly that the health apps have played a significant role in motivating people to stay a healthier and fit life. According to a study, about 52% of the users use their Smartphones to gather information on health issues while 50% have downloaded various health apps by 2017. 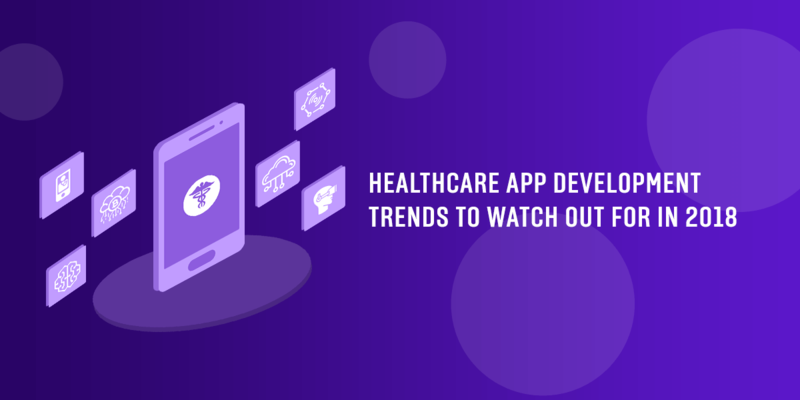 Now, if these encouraging statistics have already inspired you and you are actually planning to develop a healthcare application, then you must not only focus on implementing the appropriate features, but also follow the latest trends to gain the top spot in the market. Probably we have heard about the Blockchain technology a number of times and are aware of its strong connection with cryptocurrency, specifically the bitcoin. But the use and implementation of this advanced technology in the healthcare sector is something interesting to watch out for. One of the major roles that Blockchain technology will be playing here is recording and preserving the patient data in a much secured way. It is considered to be quite a hectic task, which will become easier with its deployment. In fact, one of the key reasons why most of the heath apps failed to get customer retention was that they did not provide a protective environment to safeguard data. Blockchain technology is highly secured that helps in data encryption, thus eliminating the problem to a great extent. The information can be accessed safely without the fear of getting lost or misused byanyone. Therefore, it has become one of the most popular trends of 2018. Artificial Intelligence is the modern technology that has put a number of sectors precisely on the driver’s seat including the healthcare industry. Since we are focusing on latest trends of health apps, so let’s take an insight of how AI will prove a huge booster for this sector. Artificial Intelligence will help in examining the patients more accurately and it will especially be a huge blessing where immediate medical treatment is required. The advanced AI solutions allow the computer systems will take self-decisions where no doctor or medical staff is available. The patients will not be required to visit the clinics and hospitals regularly and this in fact, will bring a great reduction in the cost of medical bills. The Artificial Intelligence (AI) technique will also reduce the amount of human errors. Yes, even doctors at times commit a mistake while diagnosing a patient or during the treatment. AI will make the complex and life risking surgeries easier and will help in faster recovery of the patients. It must be noted that some of the renowned tech giants such as Microsoft, IBM and Google has already started their research on different medical fields. For Instance, IBM is working with CVS Health to improve treatment of chronic diseases. There is no doubt that telemedicine has brought an emphatic revolution in the healthcare sector. According to a survey, about seven million users are expected to get connected with this technique and it also says that the market estimate of telemedicine will increase to $36.2 billion by 2020 from $14.3 billion in 2014. Yes, the patients are becoming more and more aware of telemedicine and even the medical practitioners are of the view that it offers fast and better outcome in treatment. In fact, more people are getting satisfied by using the services. It has also brought a significant reduction in the number of hospital readmission. Indeed the patients are not finding any major difference in the virtual appointment with the doctor or visiting the clinic personally. The telemedicine can be a great asset in the remote areas where medical facilities are not accessible properly. It has also led to cost saving as well. 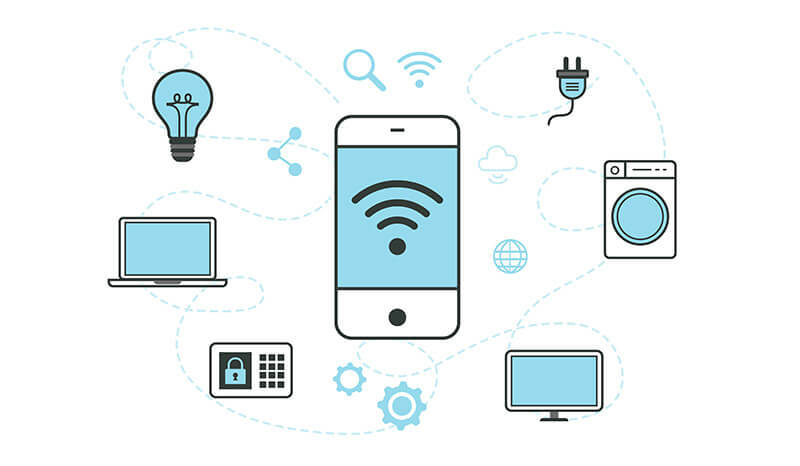 The Internet of Things (IoT) or the virtually connected internet technology is influencing a number of industries. The healthcare industry will scale towards new level with the help of IoT connected devices in 2018. The health apps linked with IoT will take care of comprehensive healthcare and comfort of the patients. Moreover, it will also be useful in getting access to valuable patient information and monitor his progress. The Internet of Things can simply get connected with a number of highly advanced devices and medical equipment to carry out better operation during the treatment process. The details of the reports that you will receive will be much more accurate and refined. In addition, the patients can also conduct a self-analysis of their health. They can maintain a better fitness regime and also know what the correct dietary plan to follow is. If you ask any of the healthcare professional, one of the daunting tasks is none of course than storing the patient’s data or documentation. However, with the advent of the cloud based solutions, much of these tasks would get simplified than ever before. You can store the Electronic Health Records (EHR) of the patients, which can be accessed anytime 24×7. If stats are to be believed, about 83% of the Health Organizations are making use of the cloud computing solutions to store the patient health data. Another encouraging data has been presented by Dell’s Global Technology Adoption 2015, which says that cloud technology has grown from 25% in 2014 to 41% in 2015. Not only the hospital administration, but even the health insurance companies are also reaping benefits from the cloud based technologies. They also can store the vital data regarding the healthcare premium and policy numbers of each of the patients safely. One of the prevailing trends that is posing its way in 2018 and the times forward is the implementation of the big data analytics in the healthcare industry. So, it becomes a must to include it in your app as well. To be precise, this useful asset can be discussed under three important categories. The first is related to resource management. Big data has helped a great deal in managing the sources of the hospital quite well such as keeping a record of the hospital staff, medical professionals, doctors, nurses etc. It also provides a valuable input of which patients need emergency attention and how staff is needed to assist him. The information also is helpful to know how many beds are vacant so that the patients who want to get admitted does not have to wait long. The Electronic Health Records has been a big find for the mobile health apps as it allows the patients to store their health records in a digitalized form. It would including everything right from their weight, height, medical history, medicines they are taking, blood and sugar report etc. So, the next time when you visit the doctor, you don’t have to waste time in describing your medical history to him. The EHR can manage almost anything medicines, patient history, prescription from doctors etc. The Predictive Analytics is actually a blend of the Big Data and EHRs. It is a document containing massive data which can give you an accurate prediction as to what treatment would be most suitable for the patient according to the diagnosis of the health problem. It also would give you an analysis of how much time the patient will take for recovery etc. 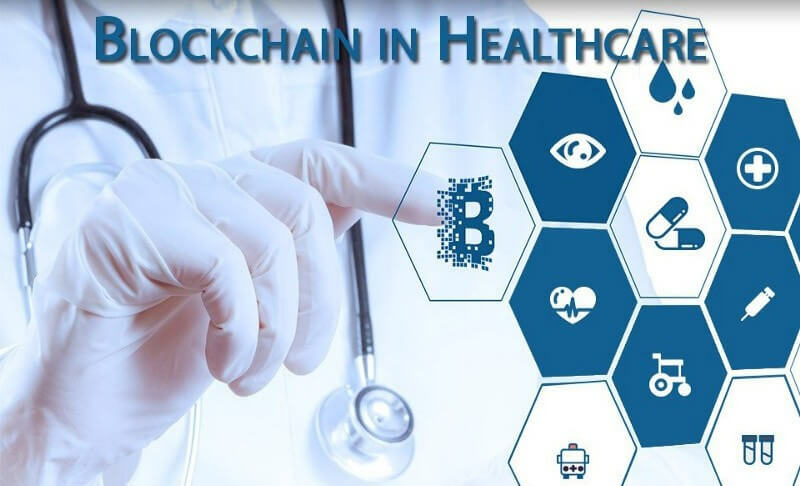 We discussed about how Artificial Intelligence (AI) and Blockchain technology are influencing the healthcare sector and now it’s time to throw some light on the Augmented Reality (AR) and see its influence too. The AR has been a great addition as it improves the training and also enhances the knowledge and skill of the doctors while they are diagnosing the patient. It offers the training to more people within a short period of time and the medical practitioners get information in easy understandable way to enhance their skills. The 2018 will witness another progress in the healthcare apps as paying the medical expenses will become much easier. The transactions will become more seamless, specifically in cases of medical urgency. The mobile payment system will allow you to pay your bills using app for which no cash is required. We have seen the medical science today is progressing with each passing day and people are getting much more advanced treatment, which is helping in faster recovery. However, the mobile health apps and the current trends have been more than handy to cater the needs of both patients and the doctors. The apps following these trends will become smarter and as a result will certainly have more traffic.